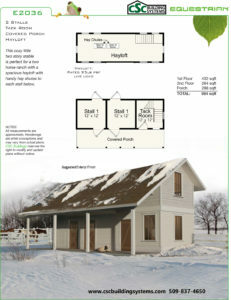 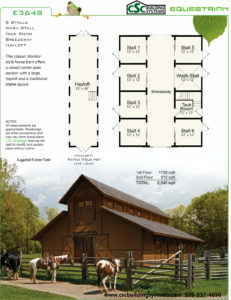 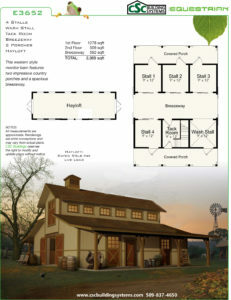 CSC Building Systems introduces CSC Equestrian, a four model series of horse barns. 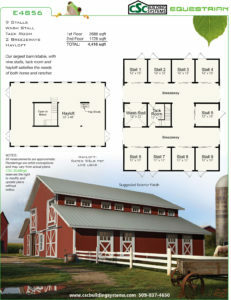 Designed with equestrian needs in mind, these models include haylofts, tack rooms and can accommodate from 2 to 9 horses depending on the model selected. 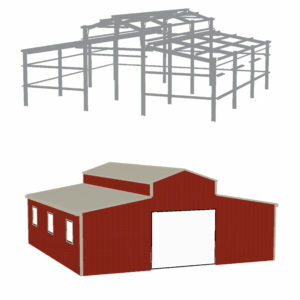 CSC Equestrian barns are designed with CSC Building System’s pre-engineered wall and roof framing system, which cuts the fabrication process down to one fully integrated step. Designed with the qualities contractors demand, yet simple enough for the do-it-yourselfer, these pre-fabricated col-formed steel framing packages are an easy, yet valuable, addition to any property.